​Mark Diamond (bass/vocals) and Ed Edwards (guitar/vocals) have been a team for over a decade and in the music business for over 40 years. They play together in numerous bands including Milestone, Los Bohemios, The Jake Edwards Band and The DEF Trio, but sometimes a smaller act is required. The Diamond Edwards Duo works well within a smaller space or on a tighter budget while still producing a full sound. 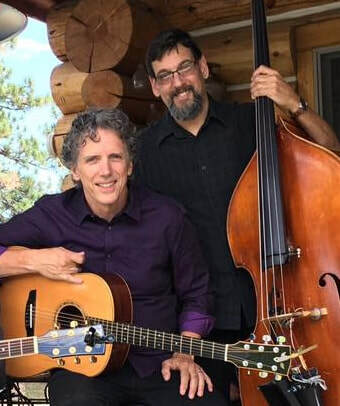 Along with the acoustic guitar, upright bass, and harmony vocals, live looping is incorporated into their music, so although there are only two musicians performing, the result is the sound of a four piece band. The duo has more than 400 songs in their repertoire and continues to add new music all the time. If you want live music at your party, wedding, corporate event or house concert, but want to keep it on the smaller side, this is the act for you!